Funding Circle, a small business financing startup, and Alcentra, the private credit arm of Bank of New York Mellon, have joined forces to support and fund small businesses in the United States. Their strategic partnership is expected to fund up to $1 billion to about 8,000 small businesses in the U.S.
Alcentra will purchase up to $1 billion of business loans originated through Funding Circle U.S. over a three-year period, with financing coming from Credit Suisse. The loans are expected to fund up to 8,000 small businesses that would eventually create thousands of jobs in the country. "With the shrinking of traditional lending channels, businesses of all sizes are facing similar challenges in securing financing," David Forbes-Nixon, Alcentra's chairman and chief executive officer, said in a statement. Funding Circle, established in 2010, has since facilitated $1.5 billion of loans to U.S. small businesses. In just the first half of this year, the firm facilitated over $1.4 billion in lending globally. Aside from the U.S., Funding Circle also backs businesses in Germany, the Netherlands, and the U.K. 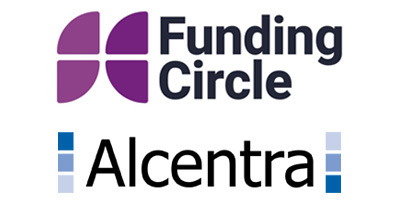 Through the partnership, Alcentra will be joining various individual and institutional investors that lend to small businesses through Funding Circle. They are looking forward to extending their lending capabilities into startups and small businesses. "The partnership will align the lending requirements of Funding Circle's clients with the potential to provide attractive investment returns for Alcentra's fund investors in this growing asset class," Hiram Hamilton, Alcentra's Global Head of Structured Credit, said in a statement. For more information about Funding Circle, visit www.fundingcircle.com and Alcentra, visit www.alcentra.com.